* The Mother Drum circles are not that often and are very unique healing gatherings. 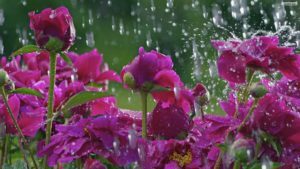 “April showers bring May flowers”…or so the poet says…but this is also a time for us all to wash our spirits clean. Our waters are calling us to help them, our Mother Earth is calling us to help her and all our relations at this time. They all need us now more than ever. It is the time of the “Great Unraveling”, as Joanna Macy calls this time of great change. And it is the time that we have all been trained for. We are the beacons of light and we are the “Rainbow Tribe”…so join us in this very deep and healing circle of drums, higher vibrations and our voices as we lift them up in pray as we bless and honor ALL OUR RELATIONS with the Mother Drum. If there was ever a time to gather…it is NOW. We are very blessed to have our brothers Dave Estes and Gregorio De La Selva playing didgeridoo, drums and other sound instruments. As well as some of you will have the chance to play the Mother Drum if you so choose. The Mother drum is like a large pow- wow drum and is used as a healing drum for our community. This is a rare opportunity to be in a small, intimate sacred circle with the Mother Drum. Hope you can join us.